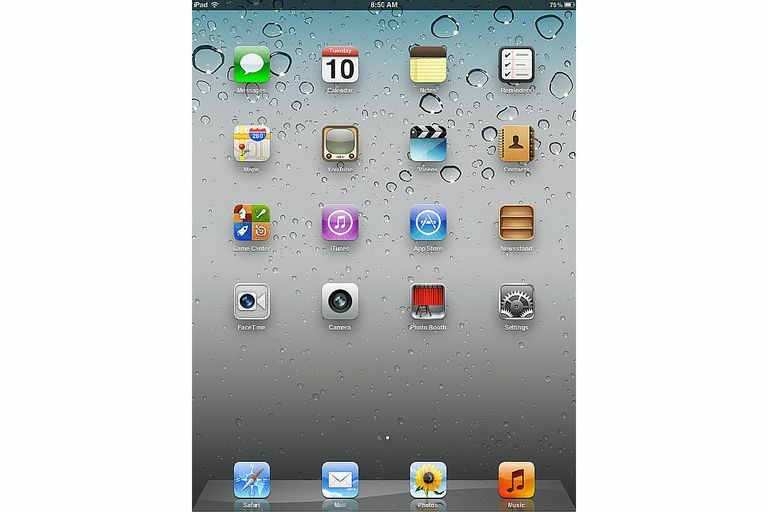 Apple stopped supporting updates to the original iPad with the version 5.1.1 of the operating system. There are still some uses for the original iPad, including browsing the web, but if you run into problems with it, you will find most troubleshooting steps are directed at the newer models. To be clear: You do not need to do this on a regular basis. iOS keeps track of which apps need what part of the system and stops apps from misbehaving. That being said, it isn't 100% reliable (but it's more reliable than your friends will suggest to you). So how do you close an errant app with the original iPad? Apple has redesigned the task screen several times since the iPad's inception. If you aren't using an original iPad but are still on an old operating system, you should update to the latest version and use the new task screen to close the app. A bar will appear at the bottom of the screen. This bar contains icons of the most recently used apps. In order to close an app, you will first need to touch the app icon and hold your finger on it until the icons begin to shimmer back and forth. A red circle with a minus sign will appear at the top of the icons when this happens. Tap the red circle with the minus sign on any app you want to close. Don't worry, this doesn't delete the app from your iPad, it only closes it down so it won't run in the background. This will also free up resources for your iPad, which could help it run faster. If the red circle has an X in it instead of a minus sign, you are not in the right screen. Tapping the red circle with an X will delete the app from the iPad. Make sure you first double click the home button and only tap app icons that are at the bottom of the screen.